It’s just running. No one cares and it doesn’t mean anything. Yet, it becomes one of the most powerful and challenging experiences of my life. 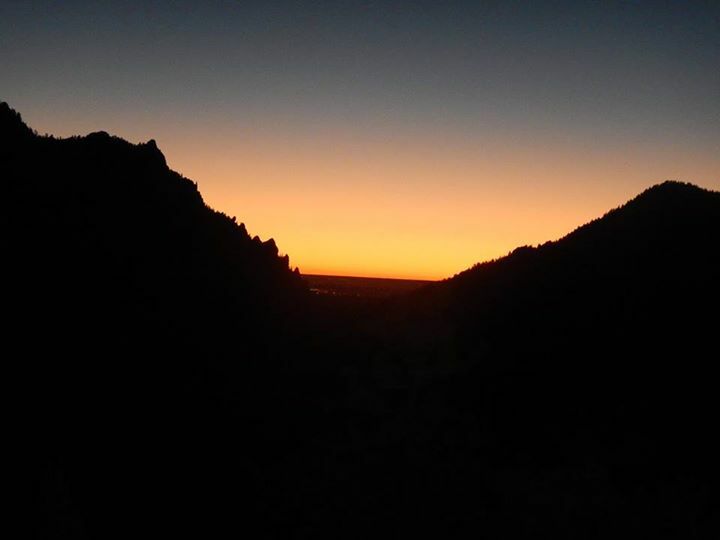 As I crawled my way up to the summit of Bear Peak at 2AM 28 hours into the run, I was convinced that the sun was rising on the eastern horizon. I’ve never felt so unbearably exhausted, confused, and anxious. 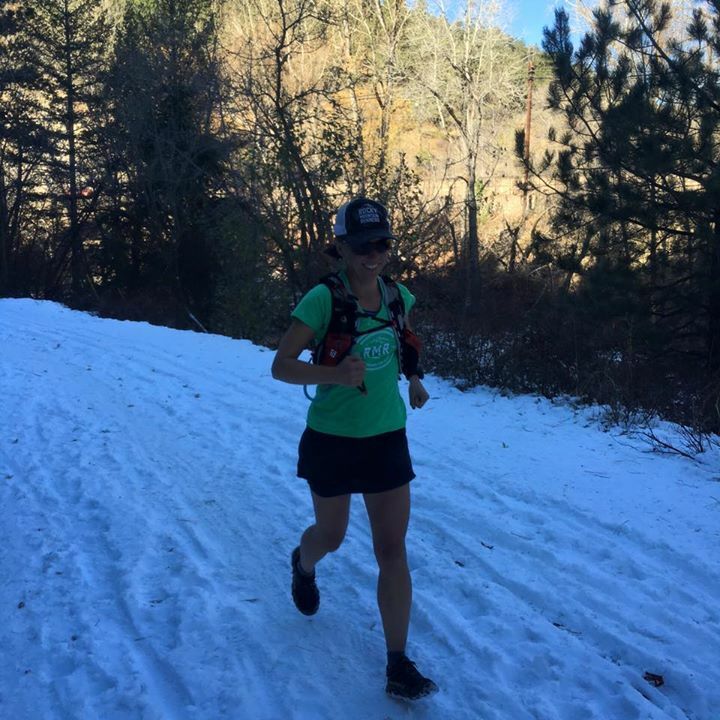 And yet, as I dug my microspikes into the snow and ice covered 45% incline at mile 95, I felt the strongest & most grateful that I’ve ever felt. 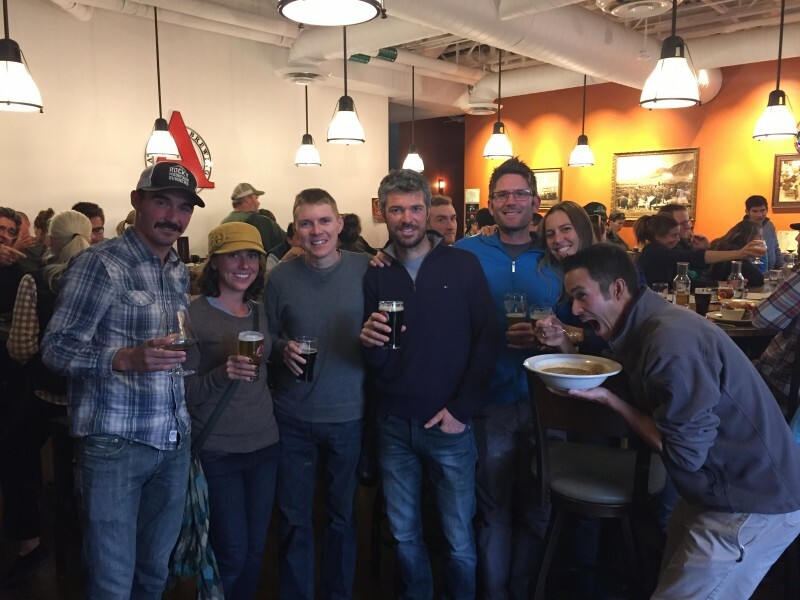 This past weekend a handful of my most idiotic friends and I decided to run the Boulder Badass 100. The Googles won’t find it, it’s not listed on any race calendar, and it won’t qualify you for anything. 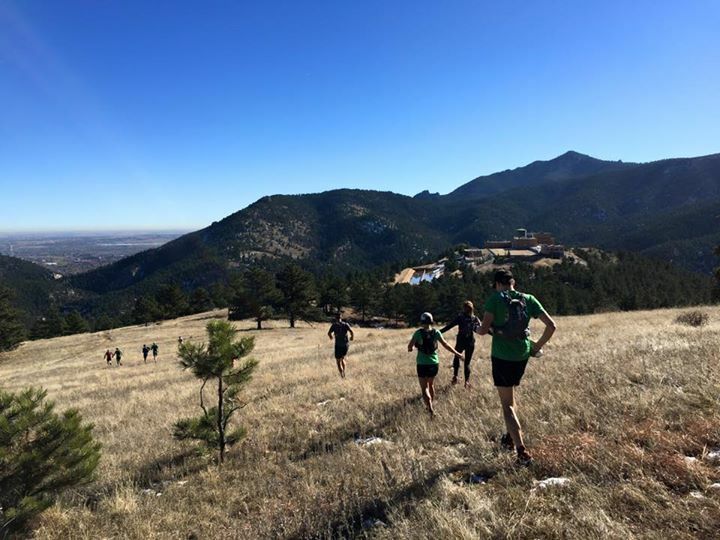 It’s a made-up “fun run” around Boulder that Ryan designed last year and it is completely pointless. 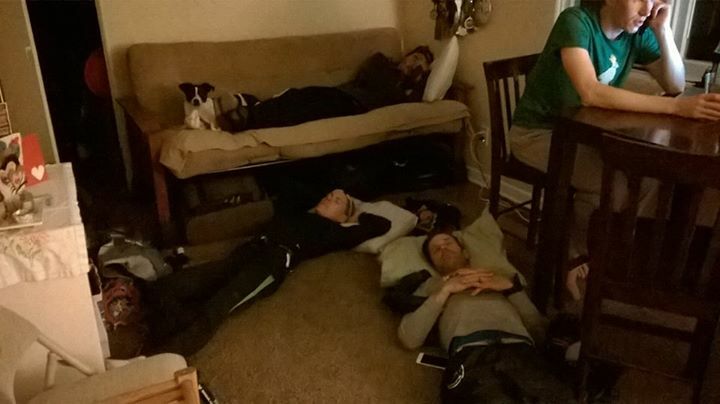 There were 10 of us huddled in Greg’s living room at 10PM on Friday night eager to give it a try — you don’t choose the Badass, the Badass chooses you. Nick & Greg for the second time, Andy and myself for redemption after not finishing it last year, and everyone else naively anticipating their maiden voyage. 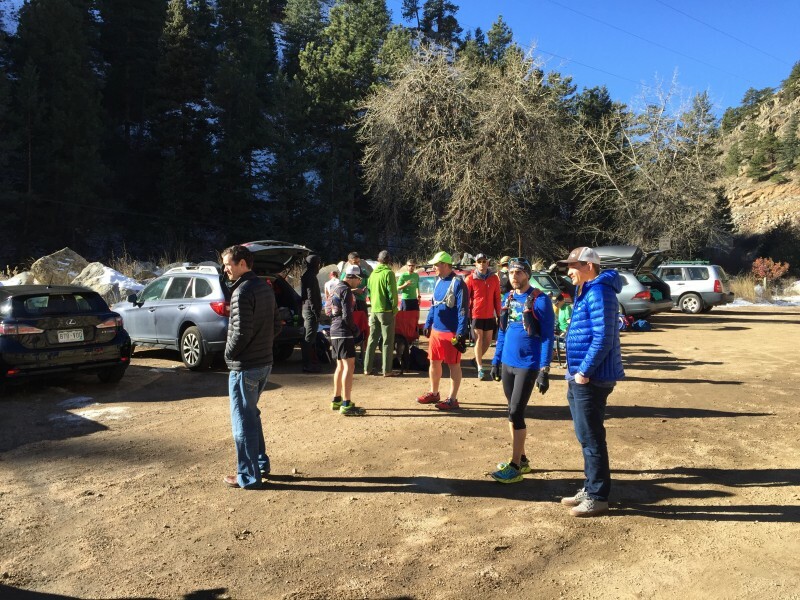 And along with these 10, there were dozens who committed to support our endeavor by crewing or pacing us for hours on end. I’ve debated how to write about the experience and what to share. Seeing as how I bared my soul on the course, I figured I’d continue along those lines and let the emotions come out. That is the nature of this sport, after all. 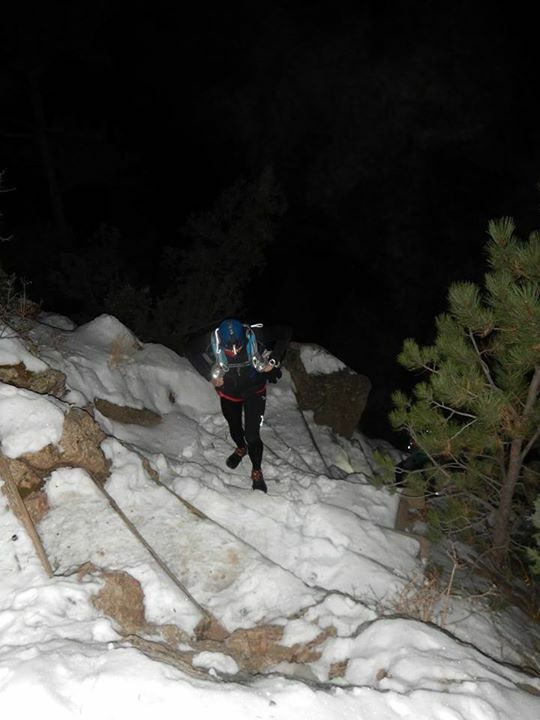 It’s more than just running; it’s passion, fear, joy, pain, anguish and pride all wrapped into one. In a world full of distractions and artificial everything, this is about as raw and real as it gets. 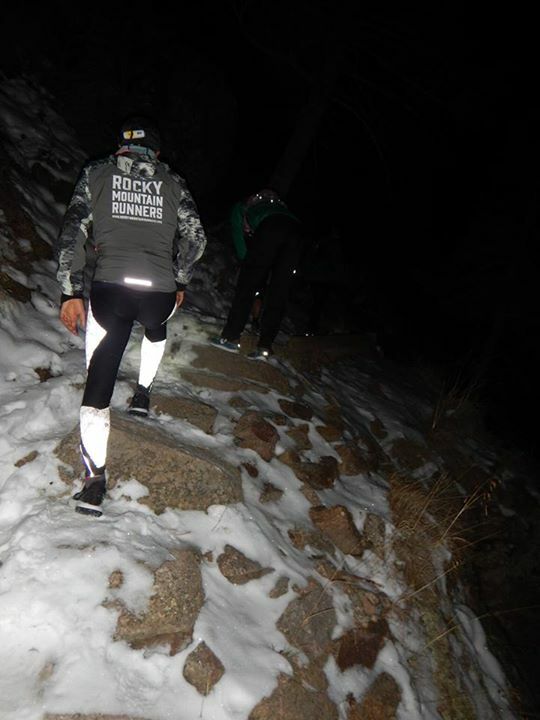 By definition running is an individual sport – requiring nothing and no one other than yourself and your desire to move. I’ve learned, however, that it’s so much more than that. 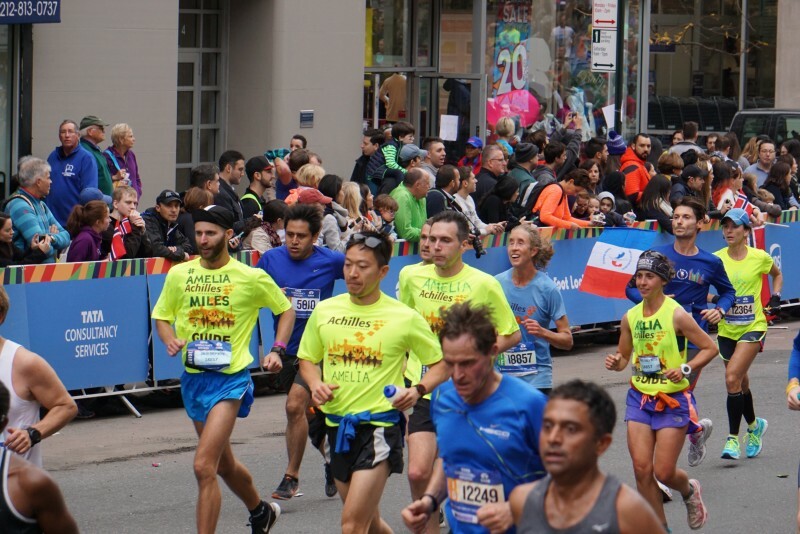 A few Sundays ago Ryan and I guided Amelia to a PR of 3:21:29 at the NYC Marathon – in doing so, Amelia set a new USABA female B1 marathon record (furthermore, had she been competing under the International Paralympic Committee she would have set a world record in the category of female T11 marathon!). 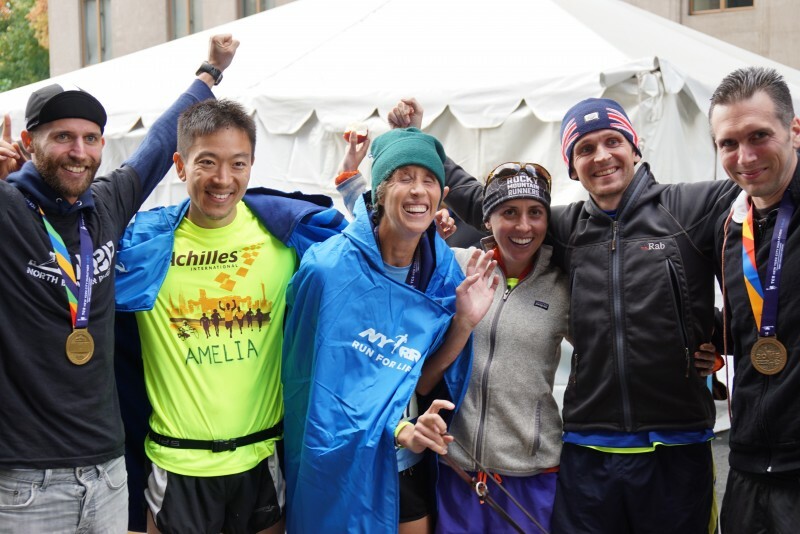 Running with Amelia over the past several years and having the privilege of guiding her through the chaos and exhilaration of New York City alongside 50,000 of our best friends has shown me what running for someone is all about. Huge PR and freakin’ perfectly executed race! So proud! 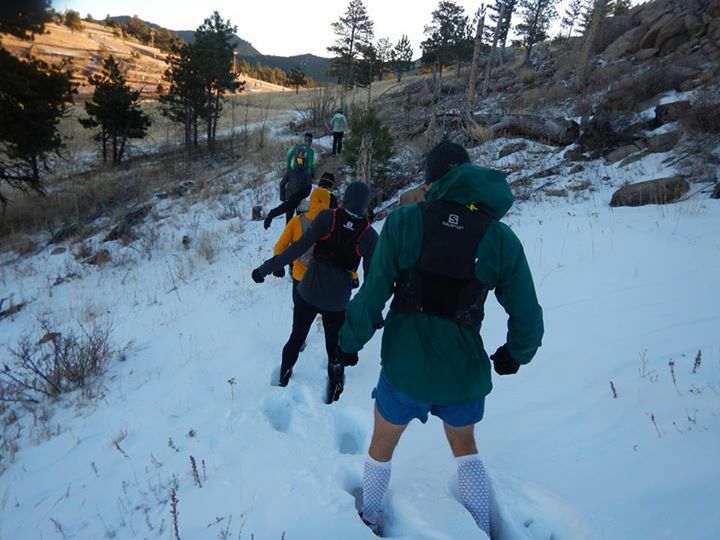 Similarly, running 100+ rugged miles this past weekend with a group of Rocky Mountain Runners has shown me what running with someone is all about. 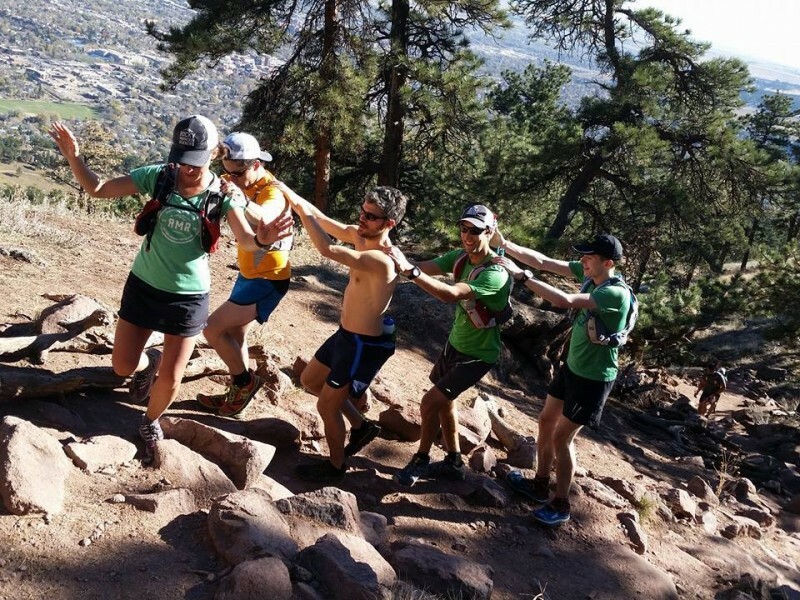 The Boulder Badass is not a race — it’s not about competition, finish time or position. It’s about running as one group through thick and thin. It’s necessary from a purely logistical standpoint but, more importantly, I am certain none of us would have made it through the endeavor had we been alone (well, Nick probably would have… but I’m convinced that he is not human!). 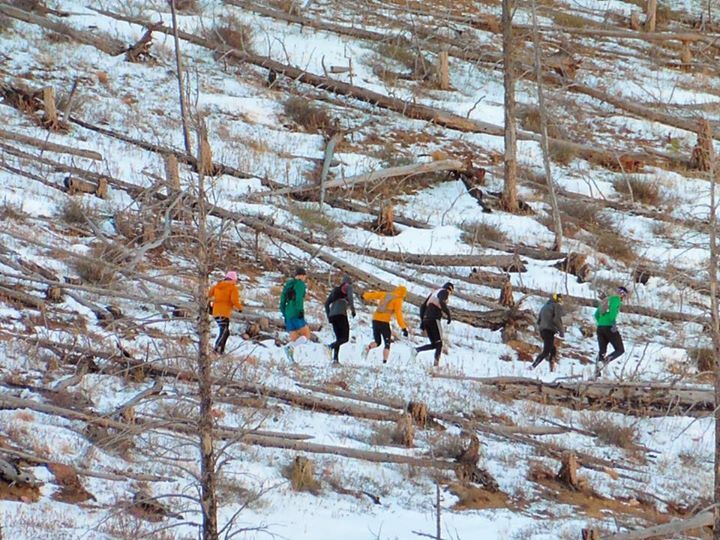 Of course, running with others is nothing new to me. 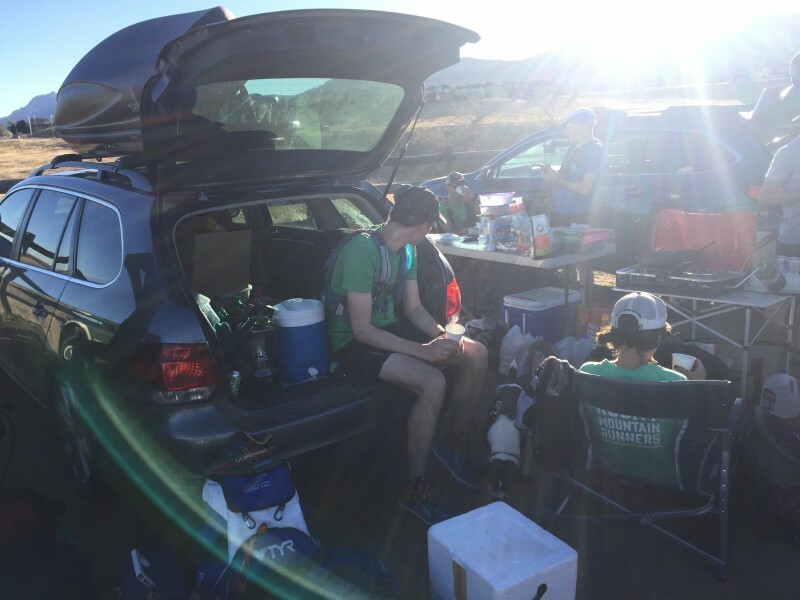 What was new to me was running for 30.5 hours with others. A lot happens over 100 miles. A lot happens over two nights and a day. Every single step and second of it was shared — the good, the awesome, the bad and the ugly. 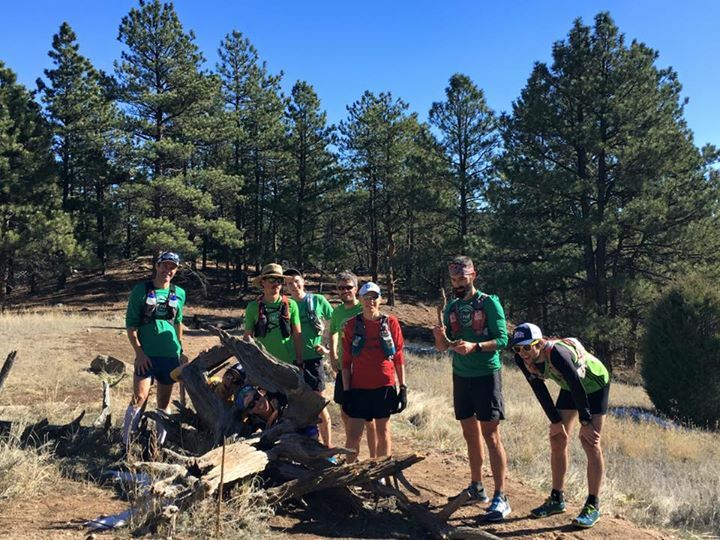 I set foot on the trails with the utmost admiration and fondness for this motley crew but by the time I stepped off the trail my heart was overflowing with pride, respect and love for them. I cannot imagine anyone else with whom I would have rather shared these miles, these hours and the many emotions tangled in them. Some people can’t think of anything worse than having the peace and quiet of nature and the rawness of 100 miles disrupted by people, but I can’t think of anything better. There were long stretches of quiet time, of peaceful contemplation time and of downright suffer time. And there were equal stretches of entertaining banter, laughter, and deep conversations. But most importantly, through it all, we were there for each other. No one’s ego or self-interest stood in the way. For as much as we jest about our idiocy and the stupidity of the “fun” run and for as much as we refuse to take ourselves or our endeavors too seriously, we were all committed to helping each other out and doing whatever we could to realize our collective goal. And that’s what it means to run together. 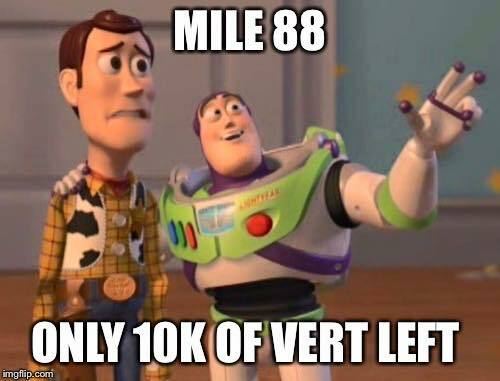 50 miles in and 9/10 of the Idiots are still in the game! 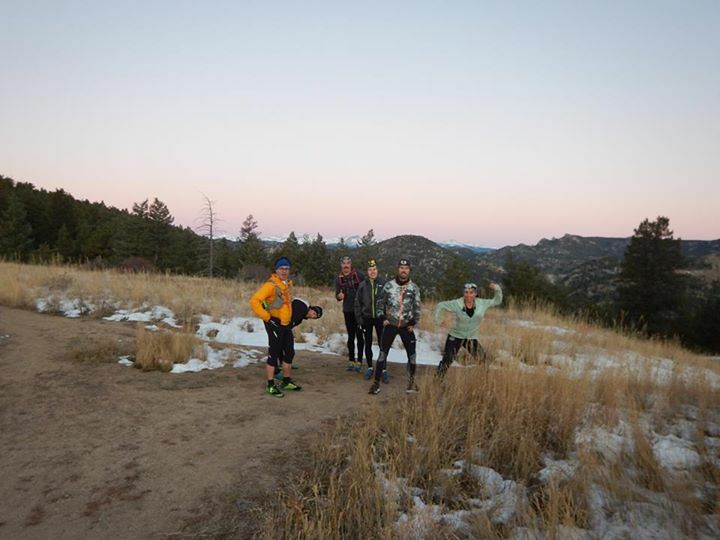 Dancing at the 100km mark because there’s no more snow (…for now…)! 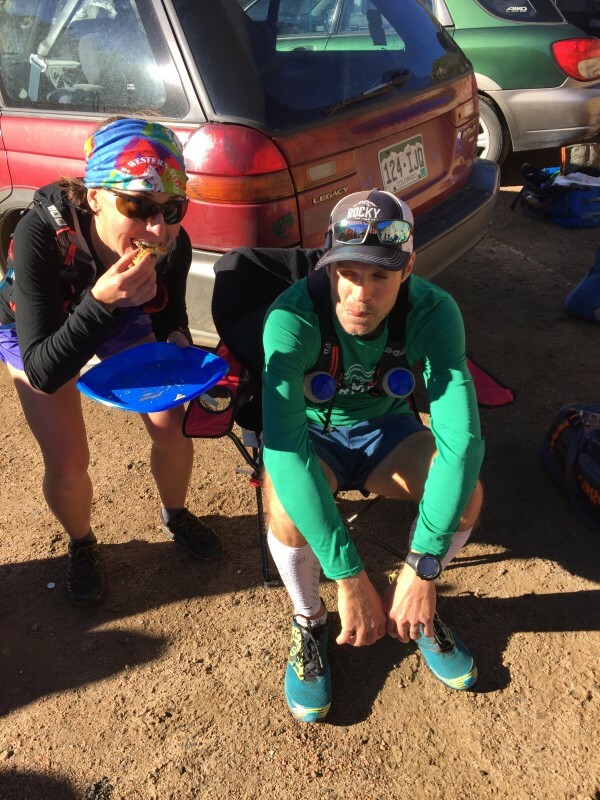 Fast forward to mile 95…. 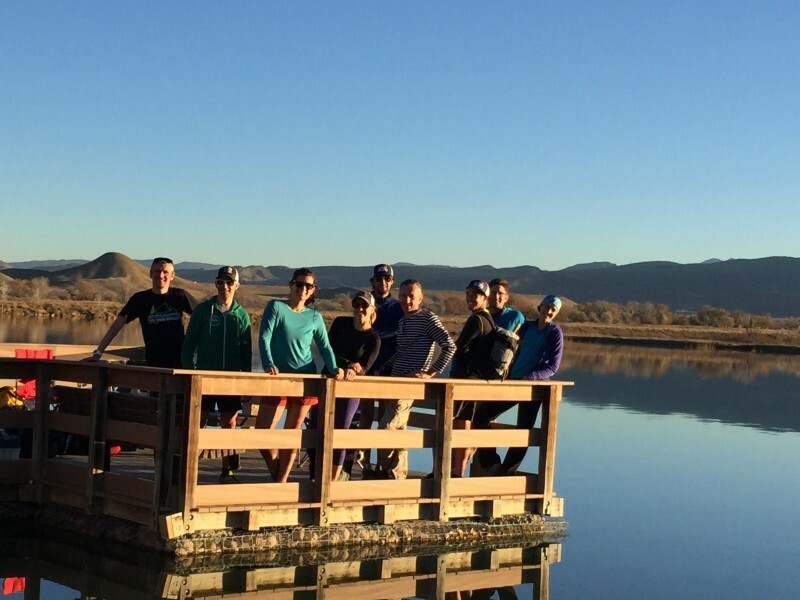 People often say that they seek to test their limits by running these long distances. I think it’s more about discovering possibilities. 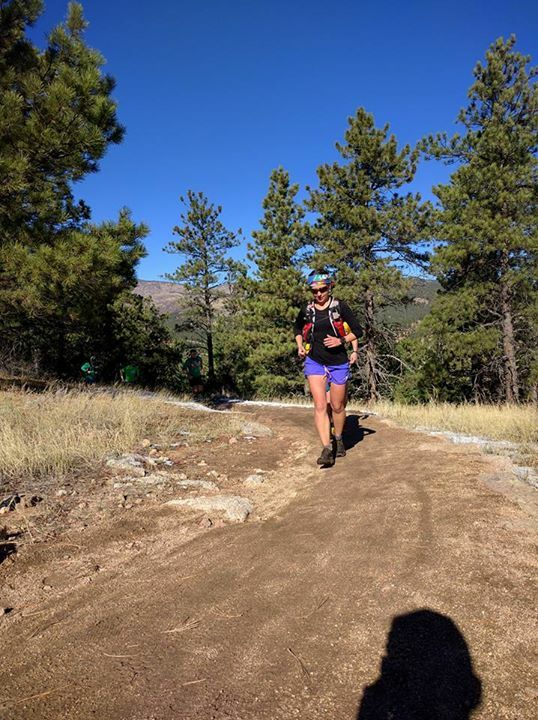 I hung my head and cried at mile 86 last year when I was so intimidated by the final 15 miles that I simply couldn’t face them — the remainder of the course was so daunting that it just couldn’t be possible. This year, the same fear crawled over me — what lay ahead was intimidating. 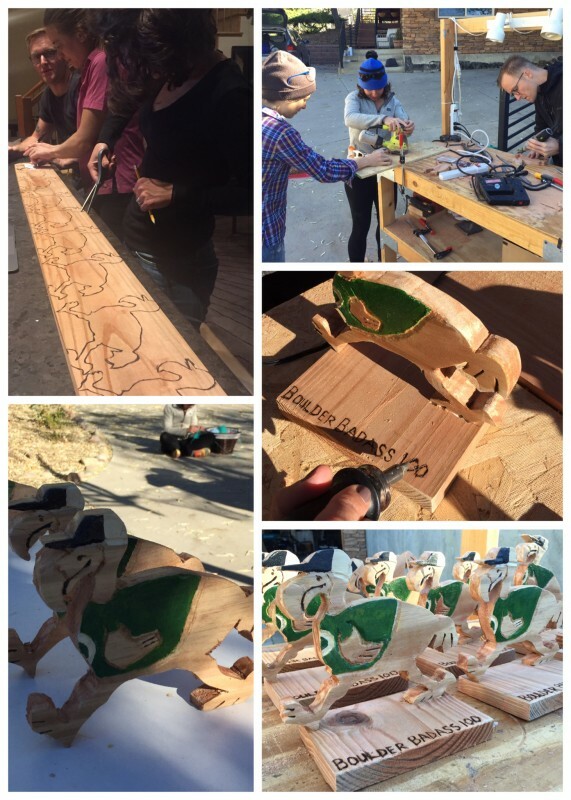 There was, however, one difference: the fact that Ryan, Greg and Nick had proved that it could be done when they finished it for the first time last year. I wasn’t any stronger or better prepared this year than I was last year. The only thing that changed was the possibility. It’s not unlike the 4 minute mile. Before 1954 no one had broken the barrier and no one thought it was possible. Until Roger Bannister came along and clocked a 3:59.4. Soon enough several other runners began breaking 4 minutes. The achievement is still remarkably difficult but by showing that it could be done, Bannister created possibility. Was I tired? Yes, but that is part-and-parcel of attempting a feat like this. The 10pm start time on Friday evening meant that by this point I’d been awake for 40 hours. Of course I was going to be tired! Splash some water on your face, drink some Coke, keep moving. Tiredness is not a valid excuse. Was I in pain? Well, yeah, my big toe hurt like hell. 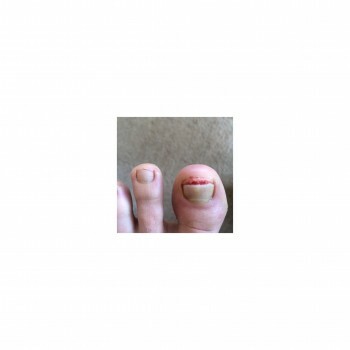 It’s an easy scapegoat – I quit because of my toe. But, come on, that’s pathetic. Loosen up your shoes, stop focusing on the pain and you’ll be fine. Nurse and ultrarunner friend Paul gave me tylenol and told me to give it 10 minutes and I’d forget all about my stupid toe. Was I in danger? No. Was I putting myself at risk for long-term harm? No. So what was the problem?! I felt like I was going insane. The sleep monsters were swirling in my head. I was a mess. 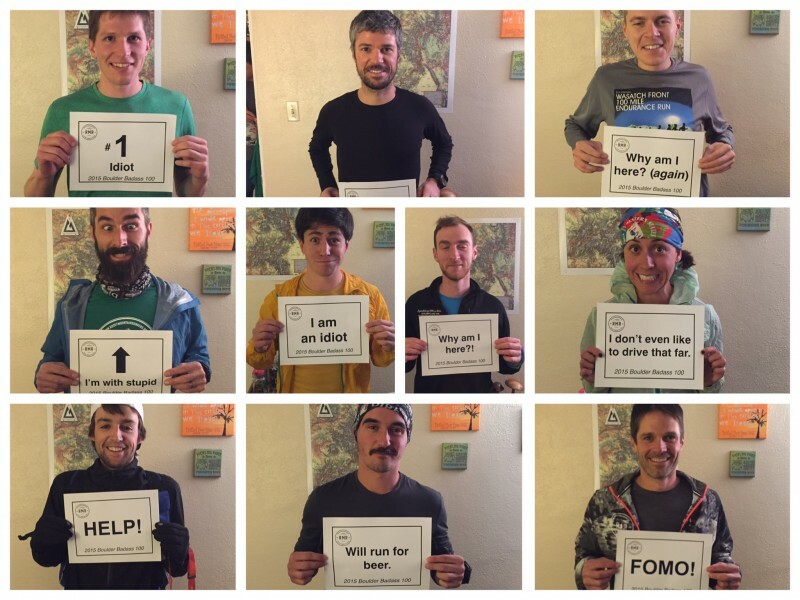 I needed someone to help me and tell me: Could I do it? Was I strong enough? Was I brave enough to try? I wasn’t sure anymore. I needed someone to believe in me. 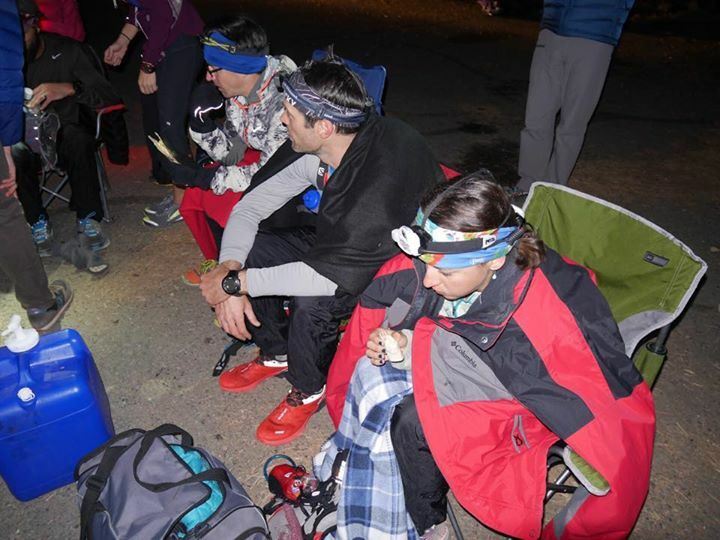 Fellow Idiots, Nick, John & Lassen had taken off ahead of us in an effort to stay warm, but pacers Miguel and Mike were bundled up and ready to accompany the rest of us through the final section. Ryan was cooking up one last batch of warm soup to feed us. 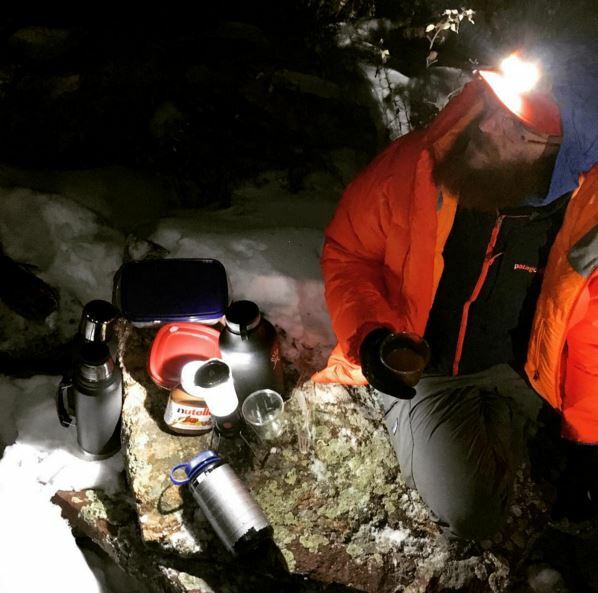 Erin, Matt, Lauren & Brad were hiking up to the final summit with giant backpacks full of sleeping bags, puffy jackets, hot cocoa, snacks and beer for us. Emily reminded me of my personal motivation to finish this in order to gain the confidence necessary to attempt arduous races like UTMB and Hardrock in the future. Paul & Robin gave me solutions to every problem I faced, pulled every trick in the book to get me out of the damn chair and, most importantly, they told me that they knew I could do it. And even though he was battling his own army of demons, Alberto never gave up on me. 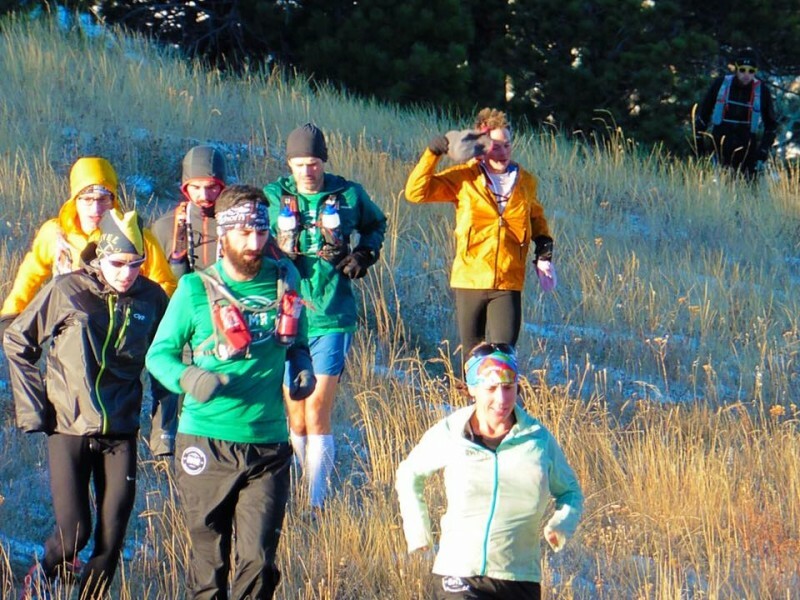 Most people in a race don’t know you – the other runners, the volunteers, the spectators are all strangers. Here, everyone knew everything about me. So when they looked me in the eye and said “I believe in you” I had no choice but to believe in them. The power of expectations is incredibly strong. Where I had none left of myself I had to rely on the expectations of others. So, I got up out of the chair and set off to finish what we set out to do. 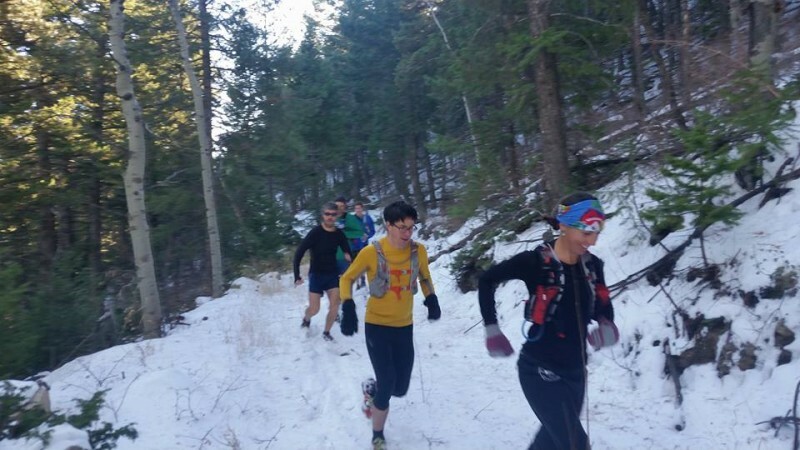 15 miles and nearly 10,000′ of vertical gain over icy and steep terrain lay ahead of us. I still wasn’t sure if I could do, but I owed it to everyone around me and I owed it to myself to try. 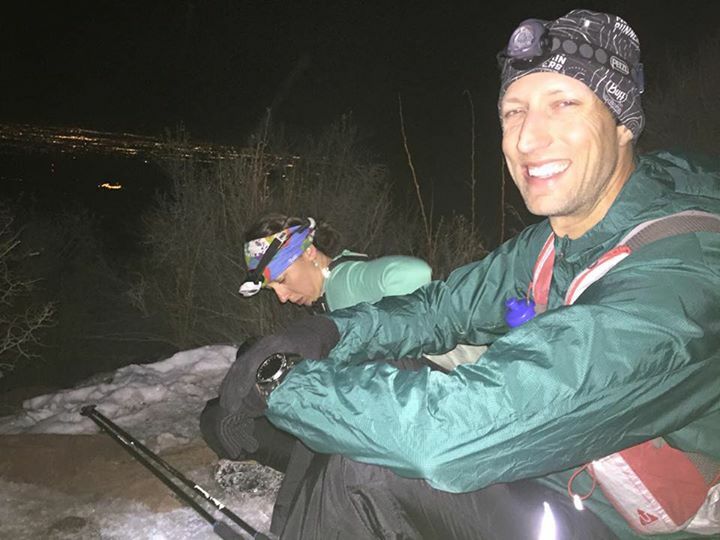 At 3:15AM the first group of Idiots, Nick, Lassen & John finished along with their pacer Eric. A little while later, at 4:30AM Alberto and I got it done thanks to Miguel & Mike’s patient shepherding. 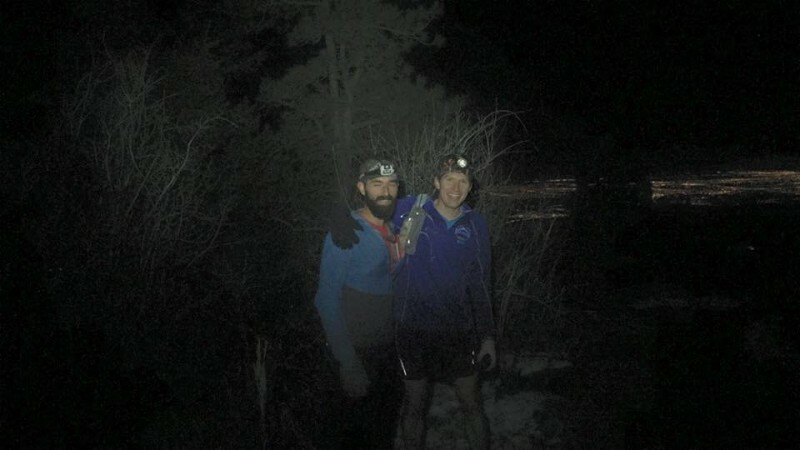 And several hours later, at midnight on Sunday night, Jon also finished it stoically accompanied by Greg (who had earlier decided call it a day mile 76) and Ryan (who crewed non-stop for everyone and was going on 3 hours of sleep since Friday morning). The floor never felt so good! 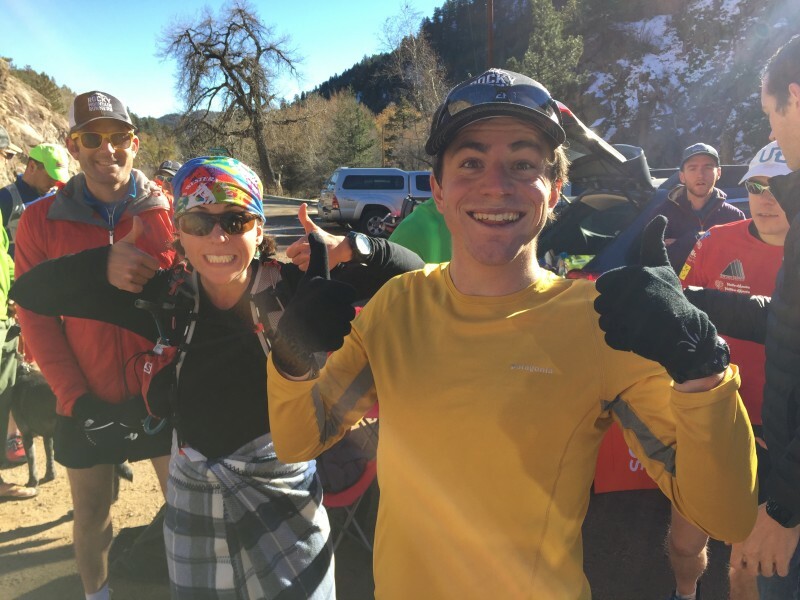 Congratulations BBA finishers Nick, John and Lassen! Jon and Greg gettin’ it done on Sunday night. It was cold, dark and quiet. There was no one at the finish line. No one gives a damn about what we just did. But I couldn’t have been more proud. And that is the point of this entirely ridiculous endeavor. In one 48 hour period, I learned more about myself, the people and the world around me than most people discover in a lifetime. I learned what it feels like to break down. I learned that I can dig deeper. I learned that it’s okay to cry in front of everyone I know and admit that I’m tired and scared. I learned to trust. I learned that while I am strong, I am stronger because of the people who surround me. And I learned that I am surrounded by an insane group of incredible badasses. 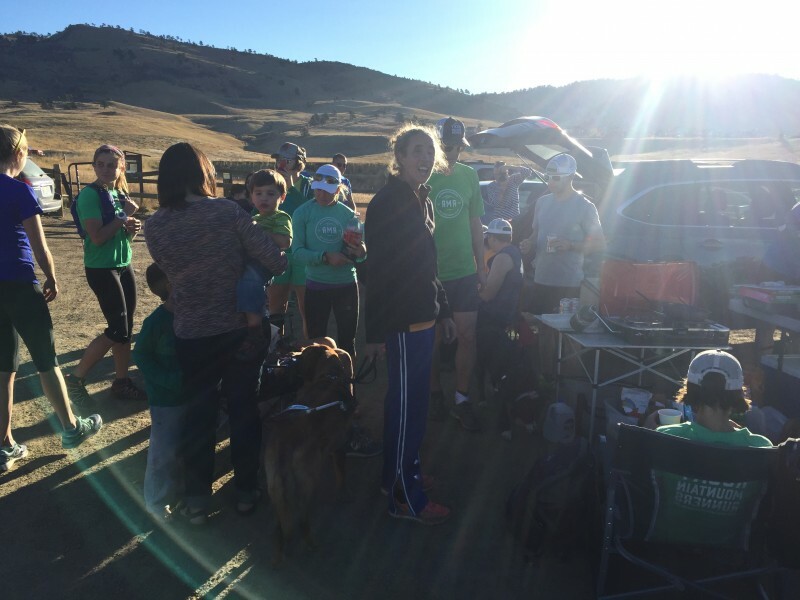 So all of this is to say that I am grateful to everyone who was a part of the Boulder Badass. Your support and belief in me carried me. 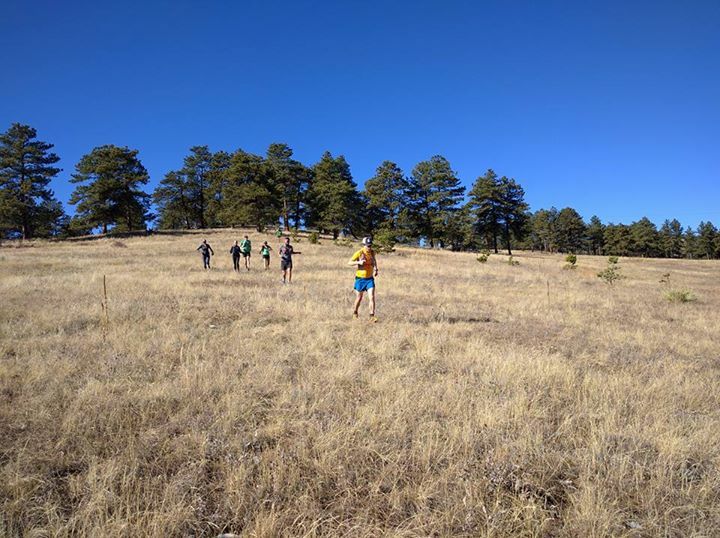 Running isn’t an individual sport. It’s not glamorous and it’s not easy. I wouldn’t have it any other way. 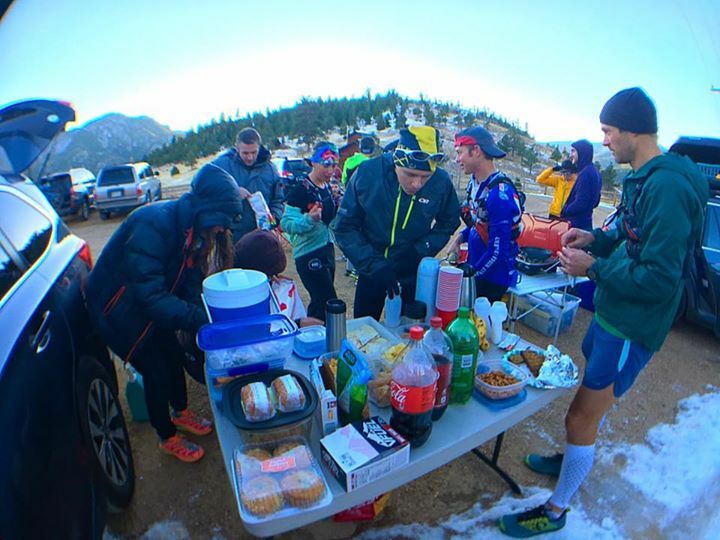 Third aid station. One marathon done, three and a bit more to go! 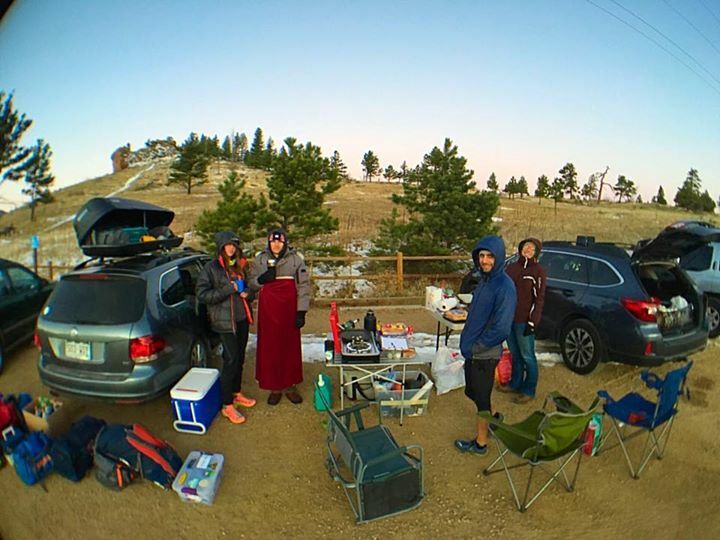 Mile 40 aid station by sunrise! All set up and ready for the runners. 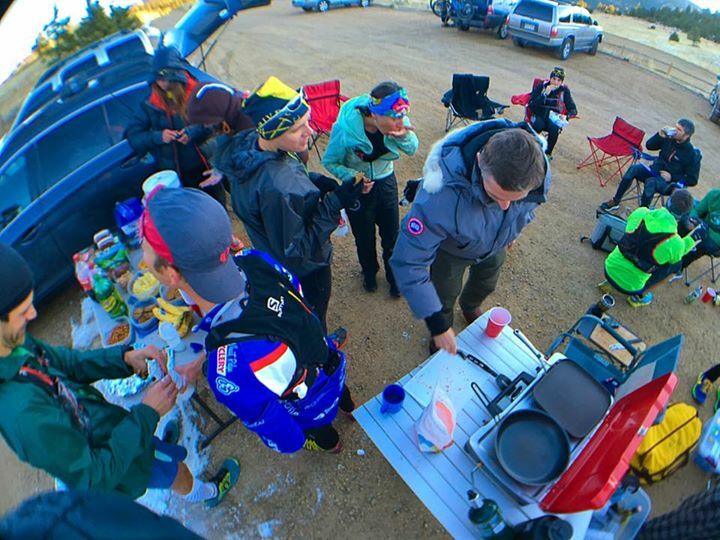 Pancakes after a 2000′ descent are AWESOME! Lucked out with clear skies day and night! Things are getting rough at mile 83. 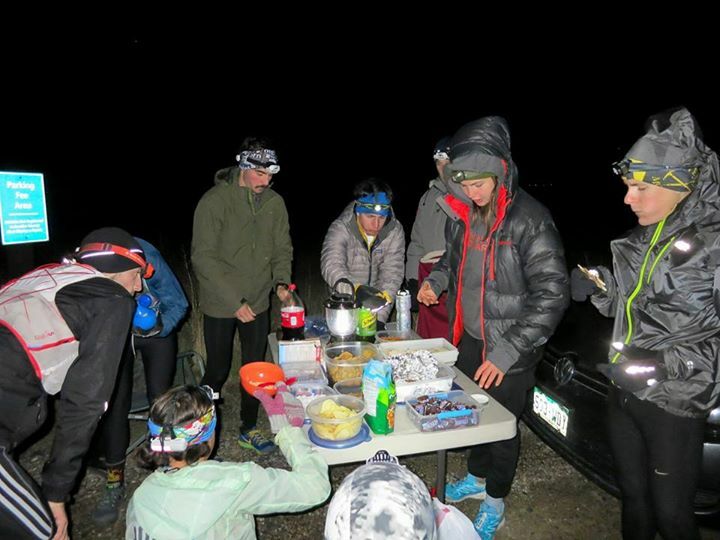 Hike-in aid station at mile 97 at the top of a mountain in the middle of the night! Hot chocolate never tasted so good! Shower, nap and time for celebratory beers!